For the chemists, biochemists & science lovers out there, there is a blog called ‘Compound Interest‘, created by a chemistry teacher in the UK named Andy Brunning. 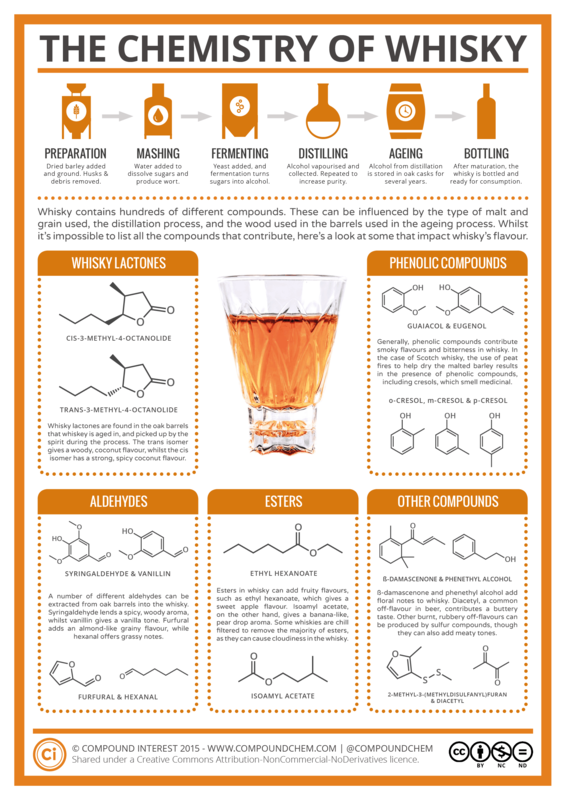 His focus is ‘creating graphics looking at the chemistry and chemical reactions we come across on a day-to-day basis.’ He posted an awesome infographic on whiskey that has been going viral. I highly recommend seeing his other entries. We also give a complete-service, medically supervised eating plan and exercise program called HMR® (Health Management Sources).